One week in, the World Cup has already captured the imagination. Eye-catching tries, eye-watering collisions, and arguably the biggest shock in the competition's history. 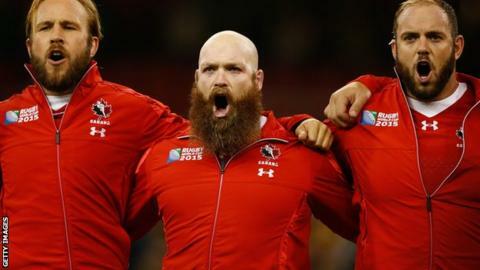 But while we continue to marvel at the rugby on display, this year's tournament may be best remembered for something rather different - some of the bushiest beards you could ever wish to see. BBC Sport looks at six of the best.